USDCHF is falling down the descendant channel. 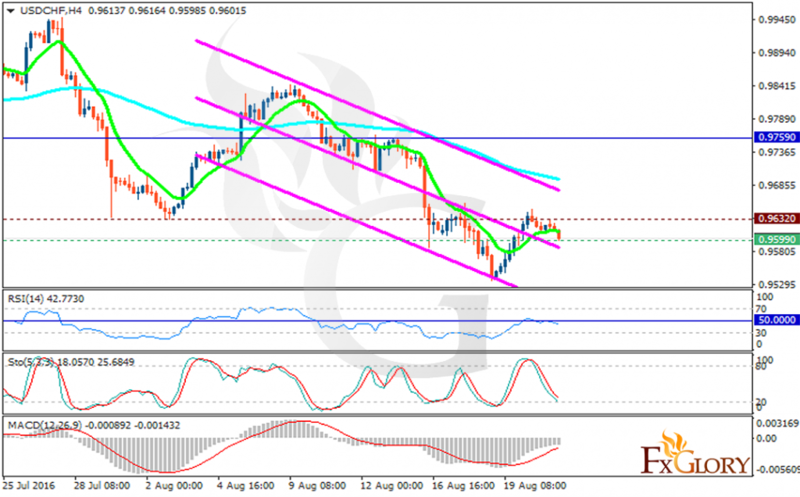 The support lies at 0.95990 with resistance at 0.96320 which both lines are below the monthly pivot point at 0.97590. The EMA of 10 is moving horizontally below the EMA of 100. The RSI falling down towards the oversold area, the MACD indicator in in negative territory and the Stochastic has reached its minimum amount. The support level breakthrough will smooth the way for further decline targeting 0.9443.